Nearly 1.5 million baby boomers have till April 29 to decide whether to file and suspend their Social Security benefits, or to suspend if they have already filed. Nearly 1.5 million baby boomers have till April 29 to decide whether to file and suspend their Social Security benefits, or to suspend if they have already filed, according to Boston University Professor Laurence Kotlikoff. There is a grandfathered period until the bill is enacted on April 29 where file and suspend is still in effect — which means a good chunk of boomers (those who will turn 66 by April) need to act quickly. The new law eliminates auxiliary benefits given or received for those whose retirement benefits are in suspension, unless suspended by or on April 29. The new law also extends “deeming” from full retirement age through age 70 for those who turn 62 after Jan. 1, 2016 — instead of only applying before full retirement age. The new law also eliminates the option to recover, in a lump sum, suspended benefits for those who don’t suspend by or on April 29. Kotlikoff laid out some “secrets” to maximize a client’s Social Security benefits under the new rules. If a client is married, he or she may still be able to use the file and suspend strategy. “There are millions of people who can still take advantage of this file and suspend strategy,” Kotlikoff said. Clients divorced after a marriage of at least 10 years may still be able to collect a full spousal benefit. Divorced clients who were born before Jan. 2, 1954, with an ex-spouse at least 62 years old can file and suspend if the divorce occurred two or more years ago or the ex has filed for his or her retirement benefit, Kotlikoff said. “The basic message is, anybody who’s 62 by the end of this year who’s divorced will likely be able to collect a full spousal benefit — these other conditions again have to be met,” Kotlikoff said. For a married couple that isn’t exempt from the new law because both spouses are too young, and if the elder spouse is a very low earner compared to the younger spouse, Kotlikoff suggests it may be best for the younger spouse to file somewhat before 70 to activate their spousal benefit. A client can still suspend their retirement benefit no matter their birthdate. There’s a catch, though, if the client isn’t 66 by or on April 29. Anyone who can’t suspend by or on April 29 (i.e., anyone who is not at full retirement age) also can’t collect excess benefits while their retirement benefit is suspended, or have benefits awarded to another person. The new rules make getting divorced and remarrying much more profitable for certain couples. If clients are single or divorced short of 10 years, nothing has changed for them except the ability to reclaim their suspended benefits if they haven’t suspended by or on April 29. If clients are widowed, the new law seems to have no impact on their benefit collection options. With widow’s benefits, there’s no deeming, so clients can take their widow’s benefit first and are not forced to take their retirement benefit at the same time or vice versa. The disabled weren’t hurt as badly under the new law because they previously weren’t able to collect full spousal benefits while letting their own retirement benefit grow. 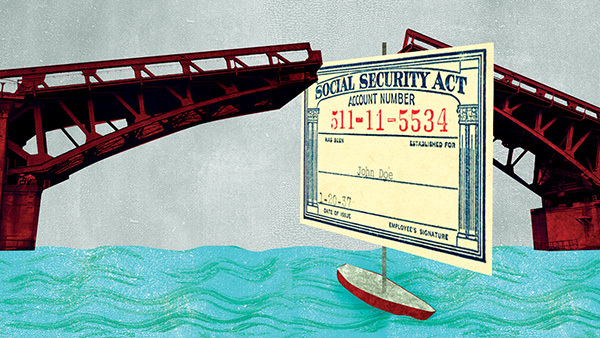 — Read “Social Security Changes: What Advisors Need to Know” on ThinkAdvisor.